Contains faux count off vocals, but it is basically a high energy, raucous, sports rock grinder of a song. Instrumentation includes drums, bass guitar, horn section blasts, synthesizer groove, bass synthesizer, dirty electric guitar, keyboards and female "ahh" voice. You can picture cars racing and crashing, motorcycles jumping on a dirt track, snowboard stunts, waves of stunt skydivers jumping from a plane and football highlights. Exploding Brains, Bite Me!, (2008) offers emotion, energy, passion and direction for the revolution taking place right now in America. This music screams with urgency. Our country is screaming too. Support your country, stand up for your freedom and let's Rock the World! 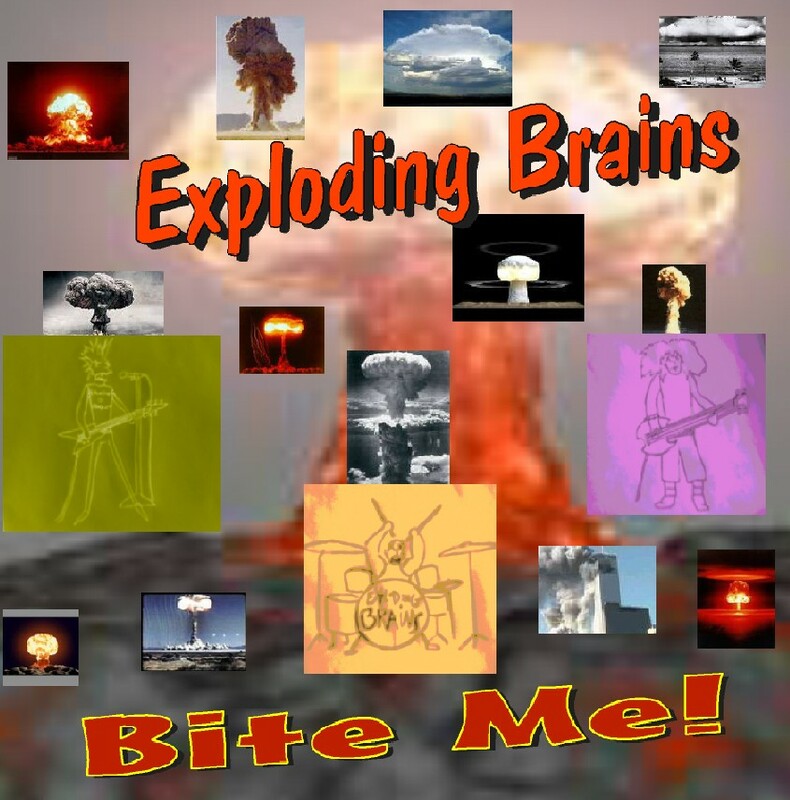 "Paul Ravere with a microphone and a distorted guitar" "The loud road to enlightenment" "21st century wake up call" "Cheaper than a decent meal and you can eat these Brains again and again and again"